35.43w x 30.71d x 41.73h "
The easy chair Layer is characterized by three layers, which can be varied in terms of textile and color in order to create a unique design. The first layer can be compared to a stool, the second layer to a chair and the third layer creates the final form; an easy chair. Frame in metal covered with plywood. 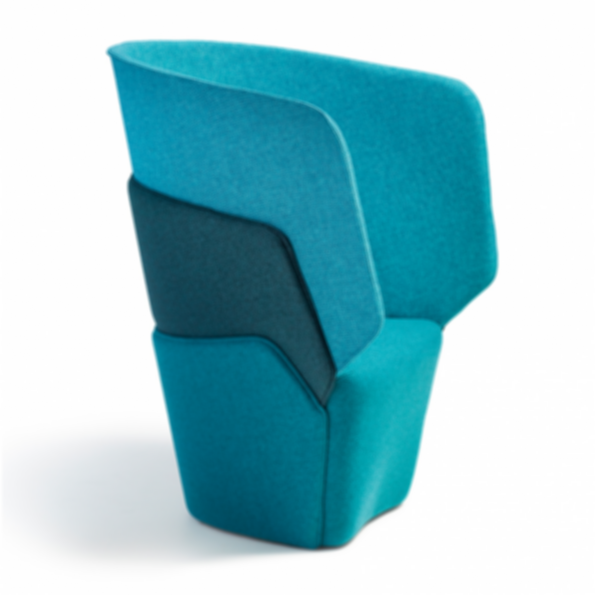 Upholstered in 3 layers of fabric, which is available in various colors for the different layers. With or without return. ABS glides. As Offecct is a design company, the highest level of design in every detail is the basis of our operation. To us it´s not enough to launch another chair or sofa into the market. We want to add other qualities in addition to aesthetics with every new product that we releases. This ambition is the core of the Offecct Lifecircle philosophy.